You need a great post-click experience in order to succeed. Send your traffic to dedicated landing pages and watch your average conversion rate go from 5% to 28%. You’ll also see a significant rise in your Quality Score, slashing your cost per conversion. The Only Thing Evolving Faster Than Software, Is the Way It’s Marketed. 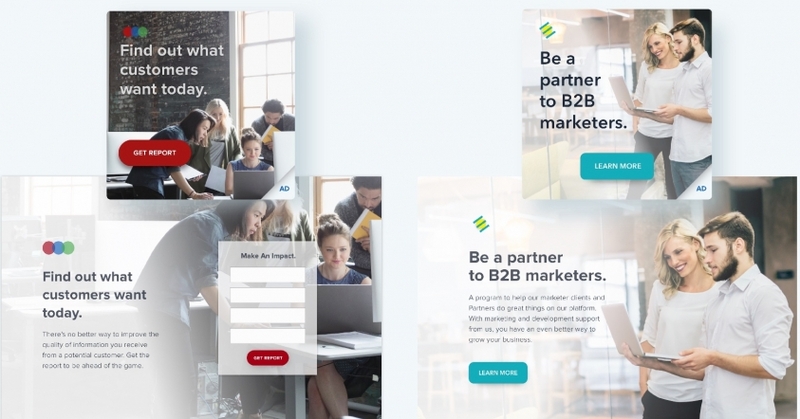 The conversion rate of 28% was compiled by taking all landing pages live on Instapage with at least 10 total visitors and at least 1 conversion. By comparison, the average conversion of a website homepage is 5%. 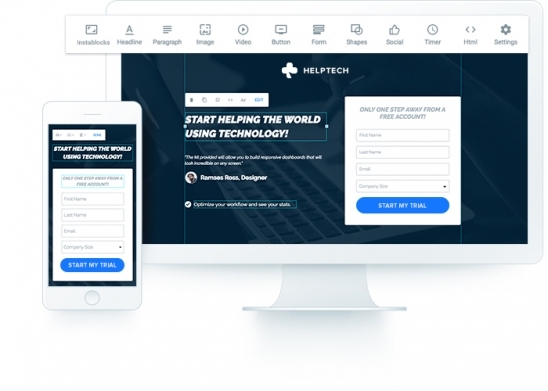 Create mobile-responsive landing pages in minutes with the most intuitive drag and drop landing page builder, no code required. 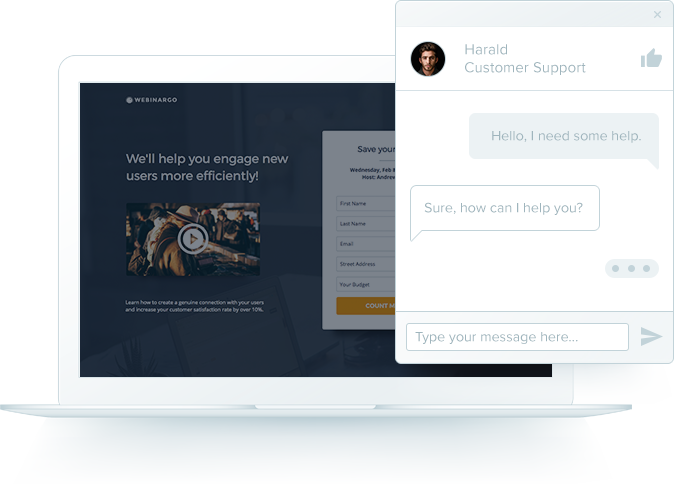 Convert more clicks to leads with message-matched, personalized pages. 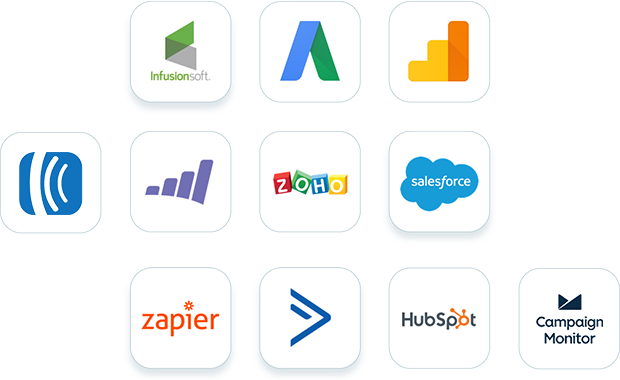 Seamlessly integrate with Salesforce, Marketo, and 20+ other platforms, from CRM's to analytics software. Tie your Instapage conversion analytics with Google Analytics and Google AdWords to track specific PPC advertising campaigns, all in one dashboard. Take full ownership of the post-click experience. 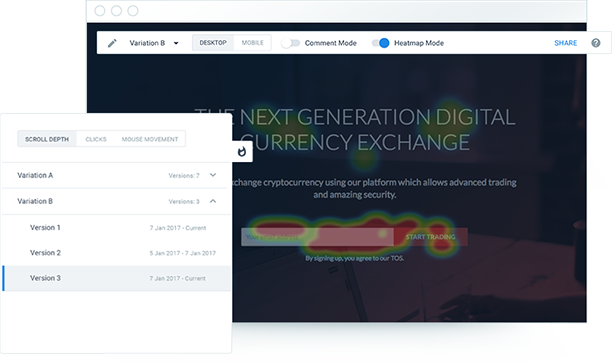 Optimize conversion rates and improve campaign results using our A/B testing, heatmaps, and analytics features. G2Crowd, Capterra, and other top third-party review sites have ranked Instapage number one in customer support. Our Customer Success Managers personalize training/on-boarding, coordinate professional services, and offers ongoing best practices. Instapage has enabled us to work smarter and build pages faster, which has allowed us to truly maximize our digital advertising.